To truly understand the Wars of the Vendée, we need to first understand the mental attitude of the region. Initially, the French revolution was well received in the Vendée because as in many other places in France, the people here also dreamed of an egalitarian society. 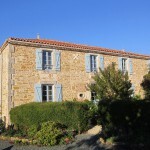 However, the new ideas were only slowly accepted in the Vendée or Bas Poitou as it was then known and the general feeling in this region was that in this rural region there wasn’t as much inequality as in many other parts of France. 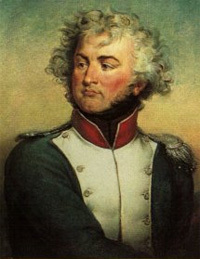 Vendéan priests were held in extremely high esteem and the peasants were not happy that not only had the revolution led to the execution of their king: Louis XVI in 1793 but it had also forced upon them new priests who were really the puppets of the changed order and who demanded much higher taxes to be paid to the republican government. It seemed to these peasants that many of the top administrative posts had been filled by the middle classes who were lining their own pockets. The last straw really was the republican government’s decision in 1793 to bring in conscription in order to raise a 300,000 strong army to defend France’s borders against invasion by neighbouring states. The call went out and the Vendée prepared for battle. Republican sympathisers were massacred in the riots that followed and the so-called ‘White’ army, wielding pitchforks and clubs for weapons, gathered at the chateaux to elect their leaders. A local Wagoner, Jacques Cathelineau was called upon to lead them and trusted local aristocrats were also asked to take command. Seven principal generals: Charette, La Rochejacquelein, D’Elbée, Lescure, Bonchamps, Stofflet and Cathelineau were responsible for the Catholic Royalist army. The clergy also helped to rouse the people. At first the rebels were extremely successful and between March and June local towns were captured without too much bloodshed. There were spectacular vendéan victories at Bressuire, Fontenay-Le-Comte, Thouars and Saumur at least for a while making the royalist vendéans, sometimes referred to as ‘Whites’ or ‘brigands’ seem almost unbeatable but soon however, the Republicans who had at first been ill-prepared for the conflict were reinforced by General Jean Baptiste Kléber’s crack troops – known as the ‘Mayencais’ and very soon, Nantes was lost. This was the Whites first serious defeat. Their second major defeat came at Cholet where they suddenly seemed to lack political agenda or long-term strategy. 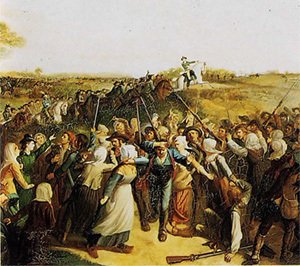 This bitter battle took place on 17 October when Kléber led the 100,000 strong ‘Blue’, republican army to victory in recapturing the town. The vendéans retreated not for the first time to St. Florant-de-Vieil. 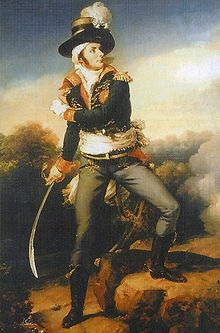 One of their leaders: the Marquis de Bonchamps, before succumbing to his wounds, memorably refused to execute 5000 republican prisoners earning him a place in humanitarian history. Soon after, almost 100,000 vendéans crossed the Loire River heading north in an attempt to take a port on the Cotentin. From here they hoped to secure help from the English. Unfortunately they were forced to turn back and once again had to cross the Loire. They were in much disarray and were easy prey for the Republican armies who showed none of the chivalry that their enemies had shown them – only 4000 vendéans came home and the worst was yet to come. The republican General Turreau sent his ‘infernal columns’ of infantrymen to the Vendée with the objective of capturing and holding 13 villages but setting fire to all the rest! Most of the able-bodied men had been killed in battle but the women, children and old people left behind were to be badly persecuted. In February 1794, the Cordelier column went in Les Lucs-sur-Boulogne and killed 564 people: men, women and children. The parish priest Barbedette registered the names of all the victims of this massacre in a document called “the Martyrologe.” Although the guerrilla warfare went on for another two years, the last two leaders were shot in the year 1796, firstly Stofflet in February and then the famous General Charette in March. The violent and turbulent insurrection that was the Wars of the Vendée lasted for three years in total and took a terrible toll on the region. Over the following years there have been many memorials to the innocent victims of the war created in the region and many Church windows in the Vendée bear witness to the terrible events – notably at chapels in Pouzauges and St.-Mars-la-Réorthe. These stained-glass windows record the darkest hours in the history of the Vendée – of massacres of civilians and of heroes mortally wounded and executed. The battle cry of the vendéans: ‘Dieu et mon Roi’ may no longer be relevant in the modern era but the two red hearts surmounted by a cross and a crown which during the conflict every vendéan had stitched to his breast have been echoed in the emblem of the Department of the Vendée.